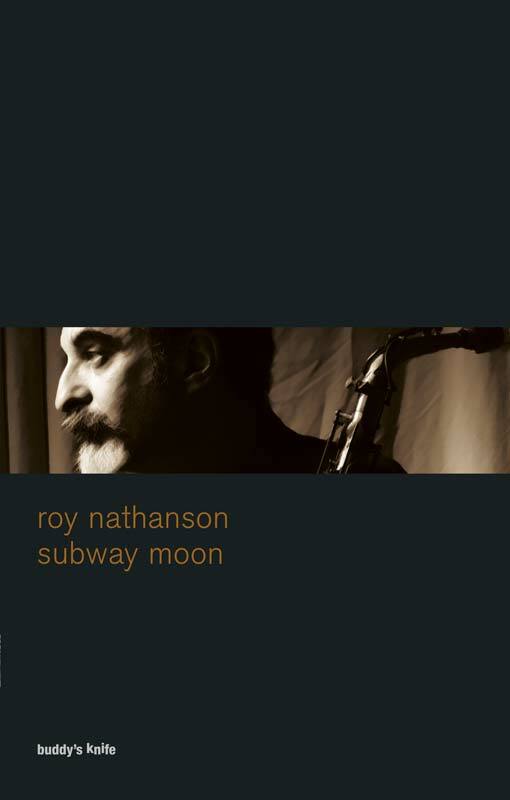 Roy Nathanson is an internationally acclaimed jazz composer and saxophonist whose music is inconceivable without his poetry. subway moon his first full book of poetry was written on Brooklyn’s “Q” train and explores the oddly spiritual and intensely public underground space of the New York City Subway through his own internal lens. His words are sounds that he bends and stretches, twists and tucks, until they give up their meanings, until they become notes. As Judith Volmer says: “Rails vibrate the street, window glass splinters a lover’s reverie, and these poems tune us into a thousand mysterious sounds, with heart and lyrical muscle.” Or says Jeff Friedman: “His is an ancient voice crying out in the wilderness, and his wilderness is the subway.” His career began in the mid 70’s playing with R&B luminaries like Shirley Alston of the Shirelles, to Charles Earland’s band, to The Lounge Lizards, to The Jazz Passengers, which he co-founded with Curtis Fowlkes in 1987. The Passengers have made eight CDs and have done extensive touring over the years. Their most recent project was an original soundtrack (score and dialogue) for the 1954 classic 3-D film “Creature From the Black Lagoon” and “The Rock Concert” an examination of deep time for which Roy received a commission from The University of Wisconsin. He has been the principle composer of the band and has written songs for Elvis Costello, Jeff Buckley, Deborah Harry, Jimmy Scott and many others in that capacity. In recent years, Roy has collaborated with Bill Ware on several film scores including “Raising Victor Vargas”. He has released several CDs of duo works with keyboardist Anthony Coleman. Roy’s work combining music and text has appeared on “The Next Big Thing” on PRI, his first text/music CD “Sotto Voce” was released in spring 2006 on AUM Fidelity Records. His second CD with Sotto Voce will be released in spring 2009 on Enja Records and was a product of a grant from Chamber Music America. Roy’s poems have appeared in Natural Bridge, 5AM and Maggid magazines, he has done a variety of collaborations with Anne Waldman, Gerald Stern and Jeff Friedman. Roy has been a recipient of several Meet the Composer Grants, two NYFA composing fellowships and a Bessie and Joseph Jefferson Award. He teaches improvising and songwriting to young children and received his MFA in poetry at New England College where he has been a guest faculty. His book “subway moon” is his first book with poetry.